Award-winning picture book star Oliver Jeffers explores themes of love and loss in this life-affirming and uplifting tale. Once there was a girl whose life was filled with wonder at the world around her...Then one day something happened that made the girl take her heart and put it in a safe place. However, after that it seemed that the world was emptier than before. But would she know how to get her heart back? 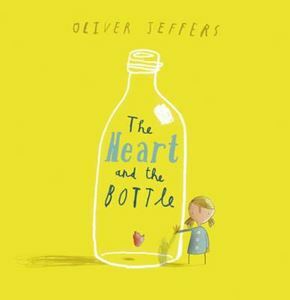 In this deeply moving story, Oliver Jeffers deals with the weighty themes of love and loss with an extraordinary lightness of touch and shows us, ultimately, that there is always hope. Winner of Parent's Choice Award. An effective plea for the environment. Big and small ways kids can make a difference.